DETAILS: We’ll start with a refreshing yoga class and then get crafty as we create our own vision boards! I’m so excited to team up with Beth Flannigan, Founder of Whole Person Wellness, to lead the vision board portion of our event! This is a great opportunity for Tweens & Teens to creatively express their dreams & goals — a really cool and impactful way to encourage goal-setting and individual achievements. Interested in learning more or enrolling? Click here for details. 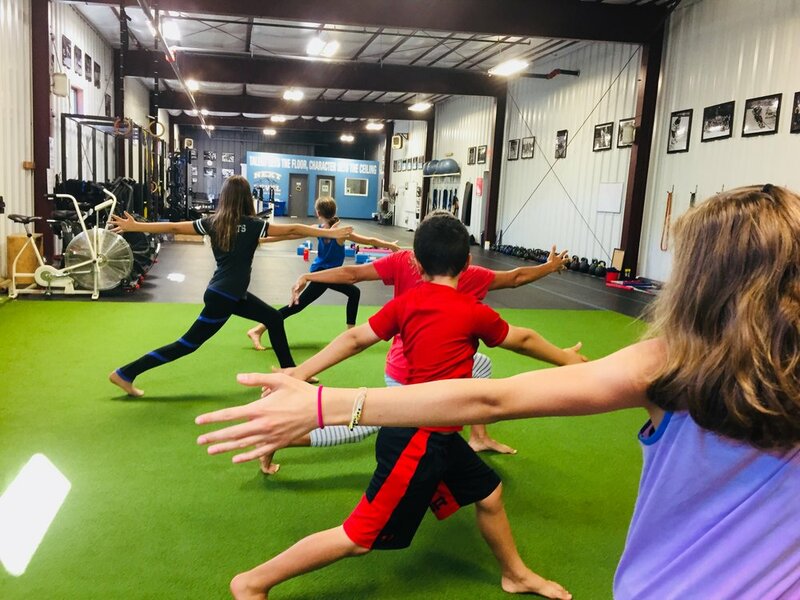 I love the idea of combining yoga with empowering kids to think about their dreams and goals. They go hand in hand — especially for Tweens & Teens. Hope to see you there! Have a great week and enjoy these beautiful fall temps! See you on the mat soon, friends. PS. Don’t forget to check the Schedule for all upcoming kids classes and events! And if you’re looking for a class for yourself, Ellen Baker will lead a great Vinyasa Flow class for adults this Tuesday @ 6pm (kids class next door at the same time too!). See full schedule here. Yoga for Athletes, great work taking yoga from the mat to the turf for yoga mobility work. Classes for athletes are Sundays @ 4pm at Next Level Strength & Conditioning (Fairport). Awesome Friday Night Kids Yoga Club this past week! Thanks to all who came. Our next event is coming up on Friday, October 19th — hope to see you at the Club!